Organic cucumbers being readied for fermenting in a drum. Pickle maker Rebecca Lay pours freshly cleaned and cut organic cucumbers into a drum for fermenting at Real Pickles in Greenfield. Sustaina-foodies, like other activists, never know where the journey is going to take them. Increasingly these days, it’s taking them to the fermenting crock, or even the fermenting barrel. They are drawn to natural fermentation — a centuries-old technique best known today for sauerkraut, kimchi, and pickles — because it is simple, it preserves the local harvest with little or no external energy, and it is believed to help digestion and promote good health. Begin with the harvest: Whether you are growing your own or have a farm share, you need a better solution for the bumper crop than just eating double portions or sharing it with the neighbors, although that’s mighty friendly of you. And if you just get rid of it, what will you eat in the winter? Sure, there’s still the grocery store, but because of New England’s modest growing season, that anchors you to the millions of food miles these foodies are trying to avoid. Besides, many advocates argue that industrialized food eschews vegetable fermentation almost exclusively. To locavores, the word sustainability is growing ever more encompassing. It includes how far away a food is raised or grown, how heavily its growth depended on fossil fuels, how the land and soil were treated, whether the growers and field hands were treated fairly, and other factors. 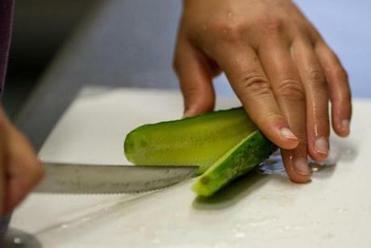 A pickle maker cuts an organic cucumber. Sandor Katz, author of the six-figure-seller “Wild Fermentation,” sees the increased interest as “a corrective from the second half of the 20th century, when people said goodbye to the idea of local food. People are waking up to the costs and drawbacks of that.” Katz’s latest book, published in May, is “The Art of Fermentation,” which goes well beyond vegetables to include bread, wine, beer, and more. Katz says a third of what people consume is a product of fermentation. 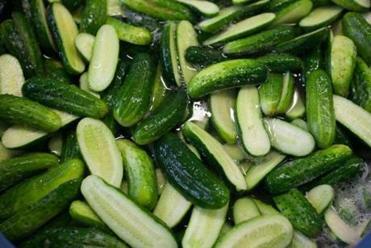 Use fresh, high-quality vegetables such as cabbage, carrots, cucumbers, and beets, says Dan Rosenberg of Real Pickles. Decide how much salt you want: Less salt results in faster fermentation; more salt slows it. Here are general directions for preserving your own vegetables. You can preserve your harvest by freezing or canning (which requires hot water), but the energy costs can turn the discerning sustaina-foodie into a latter-day Goldilocks, looking for the solution that’s not too hot and not too cold. And that is natural fermentation, sometimes called lacto-fermentation for some of the bacteria that help turn fresh veggies into a groaning board of pickled produce. 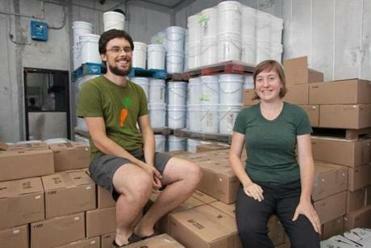 Husband and wife Dan Rosenberg and Addie Rose Holland own Real Pickles in Greenfield. Rosenberg decided to rely on natural fermentation under the influence of author Weston Price, whose work, says Rosenberg, looked “at the commonalities of traditional diets that appear to have been helping people be healthy for a long time, and have been mostly absent from the American diet for a long time. Michael Prager can be reached at michael@michaelprager.com.